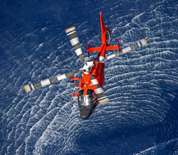 Base LA/LB provides a wide variety of services in direct support of Coast Guard activities in Southern California. Among these are local and area housing, warehousing, health care, work-life, transportation of household goods, and personnel support services. Facilities maintenance is provided to all tenant commands and industrial support is provided throughout the West Coast. Base Los Angeles-Long Beach is located on Terminal Island within the port of Los Angeles/Long Beach and is home to a variety of tenant commands including: Sector LA/LB, MSST LA/LB 91103, PSU 311, PACAREA Armory Detachment Terminal Island and ESD Los Angeles-Long Beach.